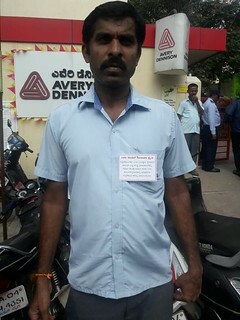 Workers at Avery Dennison Pvt. 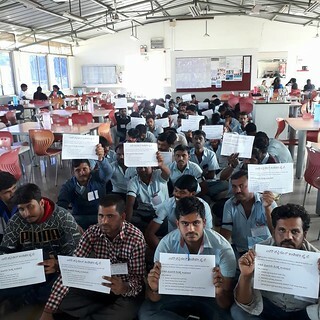 Ltd. in Bangalore, India have now been on a hunger strike for 3 days to protest the inhumane working conditions in their factory. Workers at the factory have been paid below minimum wage illegally for years and were forced to work on short-term contracts, despite working consistently for years, working alongside permanent workers but not allowed the same benefits for the same work. The International Union League for Brand Responsibility held its regional meeting for Americas League members in San Pedro Sula, Cortes, Honduras at the end of November 2017. The meeting was a successful three days of connecting our struggles and strategizing for a strong start to 2018! Philippines: Call for Support Against Duterte Government’s Crackdown and Killings of Workers, Labor Organizers and Human Rights Defenders in the Philippines! 20 workers and labor organizers have been killed under the US-Duterte regime. 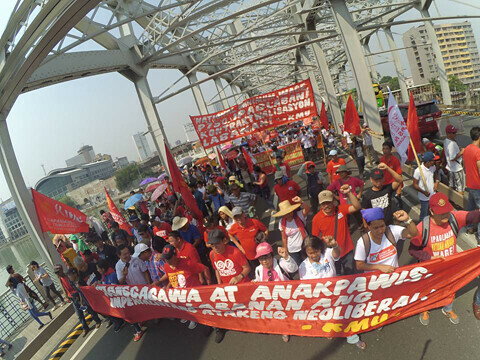 Workers and labor organizers who were victimized by extra-judicial killings are Merly Valguna and Dorie Mallari , Ariel Diaz, Edilberto Miralles, Orlando Abangan, Joel Lising, Alexander Ceballos, Wenceslao Pacquiao, Renato Anglo, Orlando Eslana, Glenn Ramos, Pepito Tiambong, Jerson Bito, Ariel Gelbero, Gaggil Jama, Jemar Jama, Radzmie Jama, Francisco Guevarra, Reneboy Magayano, and Edwin Pura.